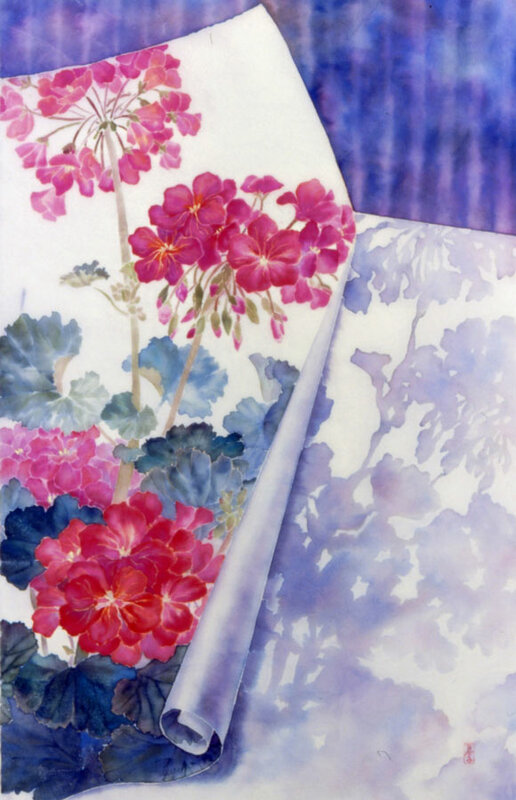 Yuriko Igarashi Kitamura is a watercolour painter. Kitamura graduated from university in Japan, and worked in pharmacology there before she and her family moved to the U.S., finally settling in Canada. After 20 years as a homemaker she began taking art courses at the U of A Faculty of Extension, under Mr. Harry Savage. 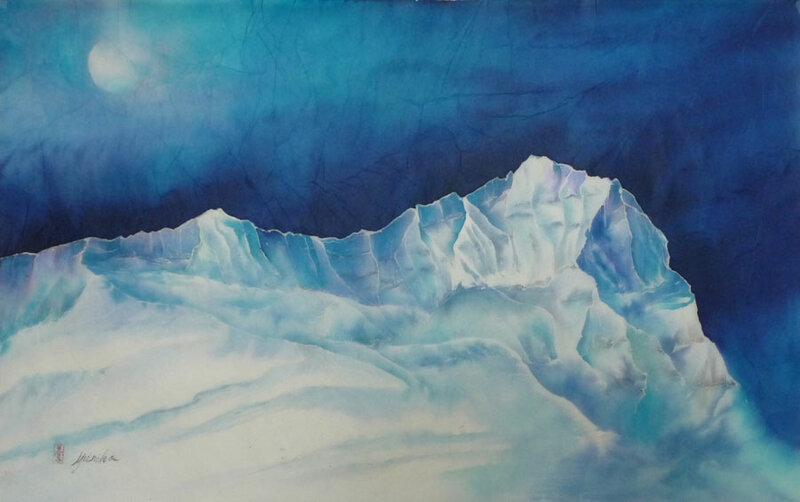 His introduction of Emile Nolde’s watercolour led Yuriko to experiment with water color on rice paper. After much trial and error, she developed her own unique technique which became her specialty. She taught at the University of Alberta extension over a period of 14 years, and taught various workshops in Alberta. Her first solo exhibition was at the Stony Plain Multicultural Centre 1982. Since then she has been shown in and sold to numerous private and public galleries in Canada and abroad; her work was also purchased by the Alberta Foundation for Art. From primarily painting on rice paper her interests expanded to include etching, graphite drawing and her favourite – figure drawing in Japanese calligraphy-style brush drawing. Life is like a river tiny stream flows towards the ocean merging, crashing and changing as it moves along, then it evaporates, and becomes rain nurturing all matter. process of Creative Painting is like a journey through a river Underlying my paintings are a reflection of what happens in time. The subjects are my tools to express my thought, and I want to go beyond what I see. 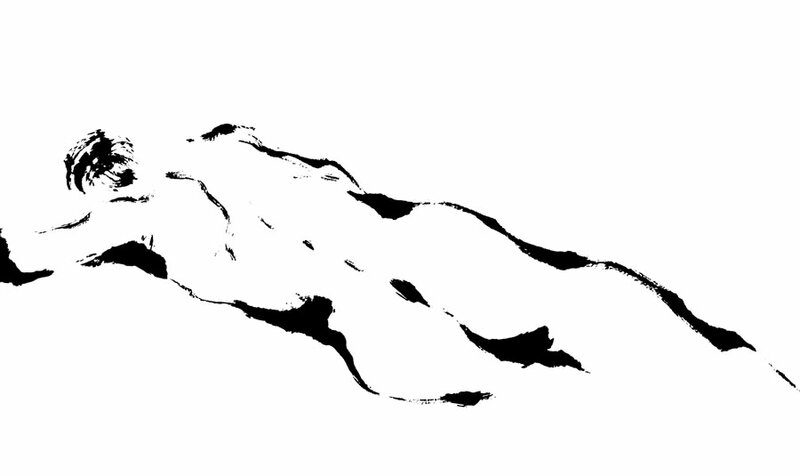 I try to capture the energy of matter in my brush stroke.